Convergent Design Apollo Multi-camera production can be chaotic, confusing, and time consuming. 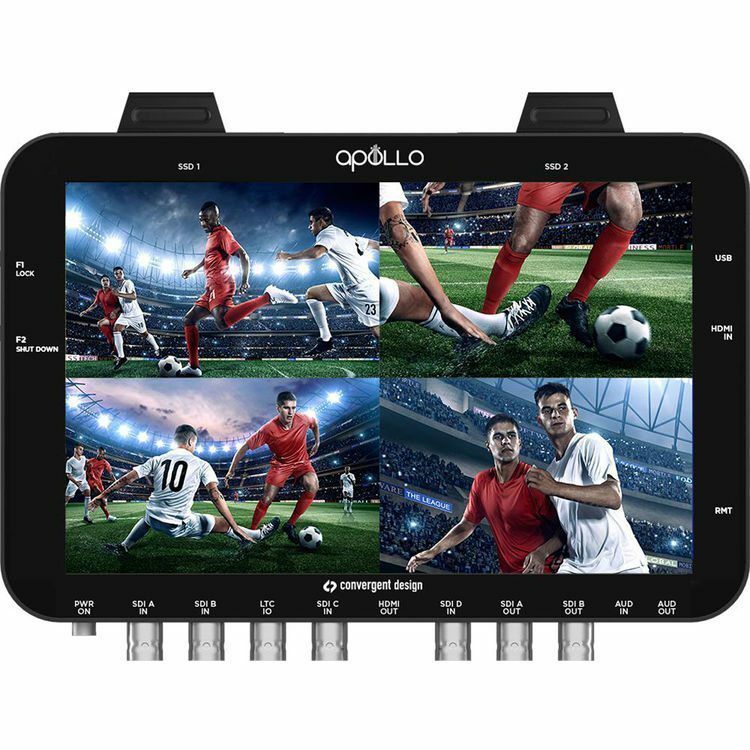 We all know the hassle of wrangling multiple media cards from the cameras, offloading files that are different lengths, with different names, and to different codecs, then attempting to align these in post production with audio/video delay across cameras… Apollo alleviates all of that! Matching file names, matching timecode, and Convergent Design Apollo AV Align feature saves you hours data wrangling and in post production editing. 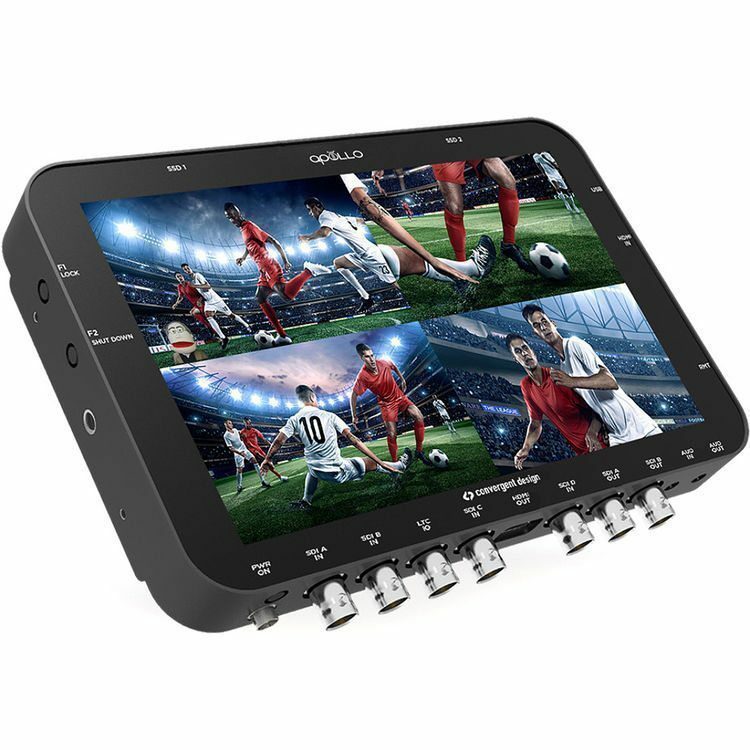 Convergent Design Apollo is a portable multi-channel monitor/recorder/switcher that can simultaneously record up to four HD video signals, along with a fifth channel of either a live-switch, or a quad-split reference view. Separate ‘Preview’ and ‘Program’ outputs allow you to monitor on set while using Apollo’s touch screen for simple switching with cut or dissolves. Play back in perfect sync while toggling cameras. All of this functionality in a unit the size of a small tablet and capable of battery power for the ultimate portability. Apollo records four HD video signals as well as a quad-split or live-switch. All cameras in perfect sync with matching timecode. Four-camera coverage in a single portable unit. Live-Switch as well as record ISOs. No Genlock Required. Any HD cameras, all to one card and one format. A producer’s best friend. Output four synced files or one multicamera file for efficient post. A realtime switcher for live events… without a rolling rack of gear. Image Analysis tools for matching cameras. A DIT’s go-to weapon.